IWASSA Co.: What happens to those free Windows 10 upgrades after July 29, 2016? Microsoft's ambitious plan to get Windows 10 running on a billion devices within the next few years depends to a large extent on the success of its free upgrade offer. When the company first announced the terms of that offer last May, it literally included an asterisk and fine print. Those terms have changed slightly over the intervening months, but one element has remained constant: The offer is good for one year after the availability of Windows 10. Upgrade confidently - 100+ million fans have upgraded and are loving it. You'll have a free, full version of Windows 10 - not a trial or a lite version - if you complete your upgrade before July 29, 2016. In fact, Microsoft's real goal with this upgrade offer is not just to get its installed Windows 10 base to a billion. The long-term goal is to help close the books on Windows 7 in an orderly fashion before its extended support commitment ends on January 14, 2020. Some of those Windows 7 PCs will simply be retired, of course. But what about those that are only a few years old and have more than four years of usable life ahead of them? For Microsoft executives, the prospect that hundreds of millions of PCs will still be running Windows 7 on New Year's Day 2020 has to bring back unpleasant flashbacks of Windows XP's messy and. I see at least three possible scenarios playing out when July 29, 2016 rolls around. 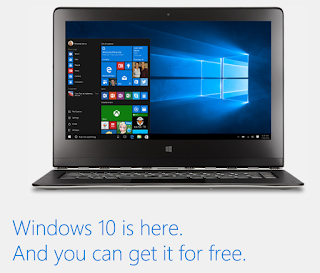 Scenario 1: Microsoft sticks with its deadline and begins charging for Windows 10 upgrades. There's plenty of precedent for this, based on past behavior. For Windows 7 and 8, Microsoft offered significant introductory discounts and then ended them on schedule after a few months, with no extensions. I suppose that could happen here, too. But does it make sense? There's no financial reason to pull the plug after one year. Retail upgrades have historically represented a microscopic share of Microsoft's revenue (see the chart in this article), and most customers who might have been willing to pay for an upgrade will have taken advantage of the free offer by then. Asking existing Windows 7 users to pay $ 99 or more after they've spent a year avoiding the free upgrade seems like a surefire way to guarantee that they never upgrade. That significantly increases the risk of an XP-style mess come 2020. I consider this scenario highly unlikely. Scenario 2: Microsoft extends the free upgrade offer indefinitely. The point of imposing an expiration date is to add some urgency to the upgrade decision. Act now! Do not be shut out! In theory, the company could get to the end of the free upgrade period, declare that the entire program has been an unbridled success, and just extend it. Scenario 3: A new "free upgrade" offer replaces the current offer. We're at the beginning of a new development cycle for our next feature update to Windows 10, and that means teams will be checking in lots of new code as they integrate their feature payloads. In the new "Windows as a Service" model, Microsoft says it plans to deliver two or three new releases each year. So let's assume that Redstone arrives six months after the version 1511 update. That would put its release date in May 2016, which would give Microsoft about two months for one final push to convince holdouts to take advantage of the free upgrade offer before it expires. One possible extension date is October 31, 2016. That's when OEM sales of new PCs with Windows 7 Professional officially end. Another possibility? December 31, 2016. New rules for the New Year, and an opportunity to capture upgrades from one last holiday buying season. But the most likely date, as far as I'm concerned, is July 17, 2017. That's the date when Microsoft plans to drop support for Windows 7 and Windows 8.1 on hardware that's based on the latest generation of Intel CPUs, codenamed Skylake. Aligning those dates would be perfectly in keeping with Microsoft's long-term goals and offer a carrot (free upgrades) to go with the stick (an early end of support) for those customers. After Microsoft watching in action over the past few years, I'm fairly certain that even the top executives have not yet decided exactly what to do in six months. That decision might not be made until very late, and it certainly will not be communicated to the public anytime soon. If someone tries to tell you they know what will happen come that day, do not believe them.